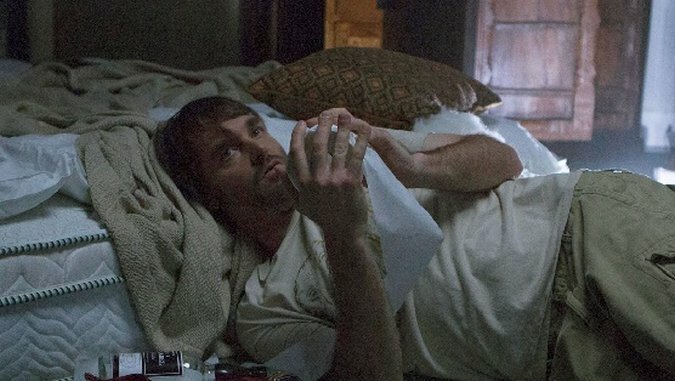 The Last Man on Earth Review: "Screw the Moon"
Last night’s season finale of Last Man on Earth did what needed to be done with this show: promised change. As much as I’ll miss certain actors and characters if Carol and Tandy do leave the cul de sac (especially Todd—Mel Rodriguez is the show’s secret weapon), expanding the show’s scope will keep it feeling fresh. What made this show so amazing at first was its refusal to follow TV convention, but by the time Melissa (January Jones) showed up and Tandy (Will Forte) spent like five episodes lusting after her, it started to feel like a more traditional sit-com. Heavily skewed and refracted, of course, but a weird setting and fine performances couldn’t entirely justify material that felt old. In trying to make fun of typical sit-coms, Last Man on Earth briefly felt like too much of one. If you’re wondering how it got to that point, though, it all came about from Tandy and Todd’s plan to kill Phil (Kodjoe). Tandy spoils that plan almost immediately, telling Todd at the start of the episode that they should go abandon Phil in the desert. (While they’re plotting this Phil is trying to make all of their lives better by setting up a solar power grid.) Todd recognizes that plan as what Tandy tried to do to him a few episodes ago, and gets so sad and angry that he refuses to help Tandy. Tandy loses his temper and yells that he hates Phil loud enough for Phil to hear him, which sets the episode’s plot in motion. Todd tells the group that Tandy tried to kill him, and they agree to finally banish Tandy. Before they can force him out, he bars himself in his bedroom, where he lies around for days crying over his plight and his newly revived love for Carol. Carol talks him out of his house, and he returns to the campfire to find everybody singing “Leaving on a Jet Plane,” seemingly okay with his return to their settlement. And then Phil tackles Tandy out of nowhere and it suddenly turns into a horror film. Phil and Tandy finally have their showdown, and it ends with Phil driving a tied-up Tandy out to the desert and tossing him out with only two days of supplies. Phil, who practically seems like a superhero to the other survivors, is willing to do what Tandy couldn’t do, revealing that Phil may not be the good guy everybody thinks he is. Even though Phil is legitimately into Carol, sharing many of her interests, she realizes she can’t live with a would-be murderer. As she tells Tandy when she goes to pick him up in the desert, she doesn’t want to stay with someone who can leave a man in the desert to die. She wants to be with someone who couldn’t go through with it. So she rescues her ex-husband, who sings her a sweet, seemingly sincere, almost definitely improvised song about how much he loves her, and together they decide to explore the rest of America. And of course she immediately gets on Tandy’s nerves again, because Tandy is never happy with what he has. Possibly ditching Tucson isn’t the biggest surprise at the end of the episode, though. As Carol and Tandy drive off, the camera pans towards the sky, zooming into a space station. We hear a voice trying to contact Houston and making the latest in an almost endless series of marks on the inside of the capsule when he gets no response. As he looks down on Earth we catch a glimpse of a nametag: “Miller.” The camera pans out and we see Jason Sudeikis, with scraggly hair and beard, staring out of the portal. We knew Tandy had a brother. We knew Sudeikis played that brother in a photo shown briefly in the first episode. We didn’t know that brother was an astronaut, and that he was still alive up in space. This could hint at the next big direction for the show, or it could be a storyline that doesn’t get picked up on until well into future seasons. After all, he’s been in space alone for years now; how’s he going to get back to Earth? And if he does, how will he find Phil in a massive, empty America? This was the perfect way to end this season. Not only did it return to what should be the show’s core, the love-hate relationship between Tandy and Carol, as portrayed by two world class comedic actors in Forte and Schaal. It also opened up exciting new possibilities. It even found time to resolve the tension between Todd and Melissa, with Todd apologizing and reasserting that he loves her, and Melissa saying she loved him too without meaning to. If you were worried about the long-term prospects for this show, especially after that interminable stretch of episodes where Tandy was pining for Melissa, this finale should have you looking forward to the second season.